Turning your Big Bear cabin into a vacation rental requires some decision making and planning. 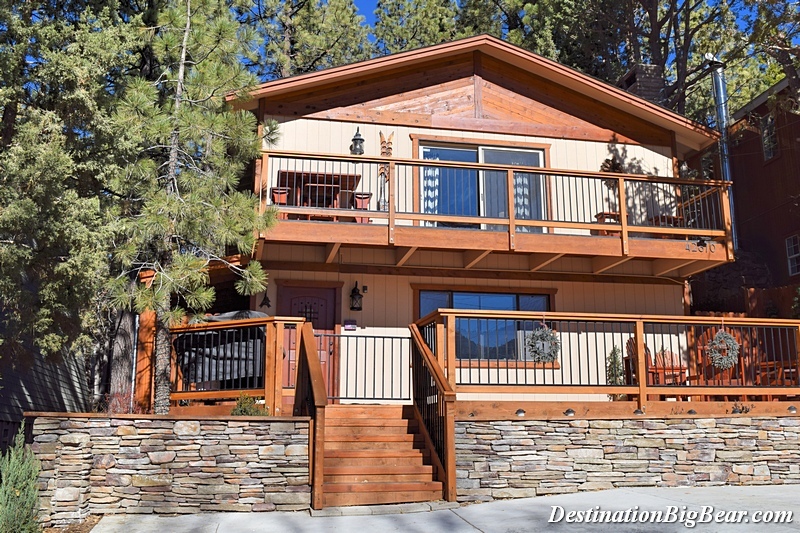 Destination Big Bear has over 10 years experience and our knowledgeable staff will help you decide if owning a Big Bear vacation rental property is right for you. We are the highest rated vacation property management company in Big Bear Lake. We list every home on the most popular rental sites to maximize exposure and income for your property. We have dedicated marketing staff on site to keep your home beautifully, and accurately represented on not only Destination Big Bear’s website, but every channel partner as well. Whether you have a luxury property or traditional cabin, we treat them all with the same respect and commitment to getting you bookings. We focus on search engine optimization online so you can be sure your cabin will be found by potential renters. We have the most web traffic per home which equals very high occupancy, always in the top 3. We have the most Facebook likes with an active following – over the years we have built 30,000 Facebook likes. We have a regularly updated blog with current articles that highlight monthly events, businesses and people in Big Bear Lake, increasing our online exposure. We have a custom Vacation Rental Software written for us that spends just as much time on Operations (Cleaning and Maintenance) as it does with Sales (Bookings). We know Big Bear and that means we know your home. We can help you determine your goals, give you insight on location, let you know what guests are looking for, how we handle guest requests and any other question or concern you might have. This list will give you the basics on who we are, what we do and how we’ll work for you. Owning a Big Bear Cabin Rental can be an incredible form of investment or actually not a good investment! But why? It all depends on what your goals are as investor or as a family. For additional information in owning a Big Bear vacation rental, please call us and speak with our experienced staff. For over 10 years, our local team at Destination Big Bear has provided an excellent vacation experience for our guests and a professional and friendly service to our homeowners. Click the link to view recent comments from some of our homeowners.